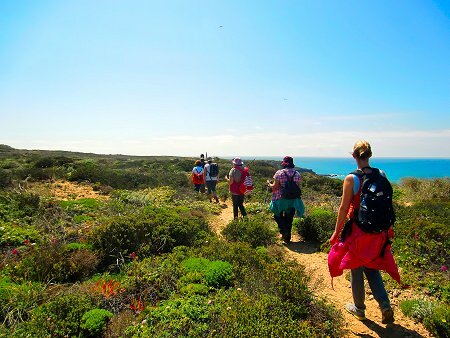 Join us on a guided walk and see for yourself what the Western Algarve has to offer. Walk with us and appreciate the stunning coastline, steep valleys, beautiful rolling hills and charming villages. During the walks, your local guides will fill you in on all you need to know regarding the region's flora and fauna as well as interesting anecdotes about the area. Let us show you why walking in the Algarve is so unique. We are here to make your walking trip a memorable experience.